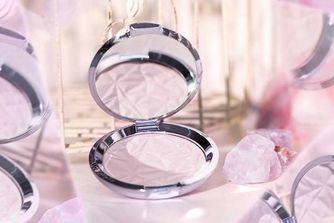 Unleash your inner unicorn with BECCA’s beautiful, multi-faceted Shimmering Skin Perfector Pressed in ‘Prismatic Amethyst’ – a stunning, colour-shifting highlighter that lends an iridescent gleam to cheekbones, collar bones or cupid’s bow. Beautifully buttery, use sparingly for subtle incandescence, or layer up to achieve an ethereal ‘strobed’ glow. 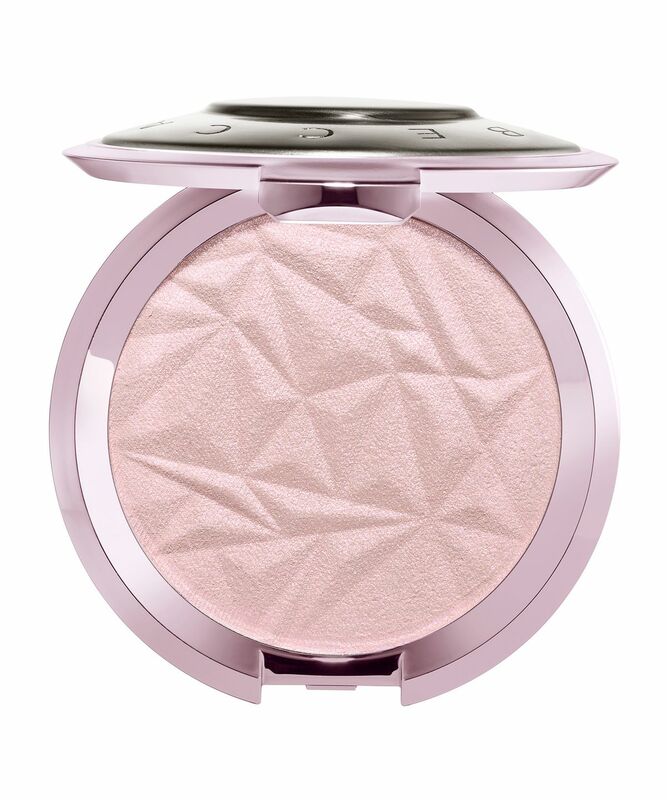 With shimmering, multi-toned pigments, BECCA’s lavender-toned illuminator reflects and refracts light to achieve an exquisite holographic highlight. With pale gold, violet and rose pearls, this transforms as you move for the most dynamic, eye-catching skin enhancement – brightening and complementing every skin tone with its otherworldly lustre. Velvety-textured, this it completely unlike traditional pressed powders; the one-of-a-kind formula blends pigments with liquids, to create an unparalleled, creamy finish that won’t cake or migrate as the day wears on. 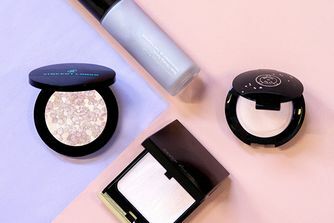 Just apply anywhere you deem deserving of attention – Shimmering Skin Perfector is buildable, and lends skin an elegant sheen with no sparkle or give-away glimmer. 1. Sweep across the high points of the face or apply to targeted areas, including cheekbones, over or under brow bones, and on the cupid's bow. 2. Top off your favourite gloss for a prismatic finish. 3. Use over your favourite shadow for a multi-dimensional look. 4. Use wet as a liquid liner (add water to liner brush and sweep across powder). This highlighter is an absolute fave. It is the perfect color for my pale skin and I am in love. I like the more natural highlighter look, but it is possible to build op the pigment. It's so beautiful and I like it so much! It's a great highlighter. This is definitely in my top 3 favourite highlighters. Highly recommend. This is such a beautiful shade, it's not purply at all. I have a warm neutral skin tone and love how this looks on me. I already had a gold highlighted for evening looks, I needed something for the day look, more like a pink shade highlighter and this did exactly that for me. I wear this for day looks, but even under the yellow light for night looks, it will look absolutely gorgeous. definitely worth it. SO happy with my purchase. Feels dry and it's not very pigmented. This is a beautiful highlighter. In some lights it's more pink and in others more purple. It has a subtle hue and a fresh glow. I have light skin with natural/a little more yellow undertone and this does not look muddy or grey, incase someone worries about that. This highlighter makes you look healthy and more awake. Me personally is not that into highlighters with colourful hues, I'm more of a golden/champagne girl, but this one I just couldn't overlook. Buy this, you won't regret it! This is the actual most perfect highlight I've ever ever owned (and I've seen a fair few) I can't believe it took me so long to get my hands on it! It's a perfect formula, the powder blends like a dream and the colour is to die for, suits my paper white skin perfectly. Gorgeous! It's absolutely amazing! I like this pink shine. I love Becca cosmetics and Becca’s highlighters are the best for me. But I was really disappointed about this colour :( very pink and not so shiny like others. I actually purchased this product on a spur of the moment "I'm desperate for a highlighter" shopping spree, and as such didn't pay too much attention to. I have quite pale, yet warm skin and after looking/researching the product in more detail, felt the pink tones would be too much for my complexion (I tend to go for a natural look). However, I've found it sits beautifully atop my Nars 'Liberte' blusher, and brings out just the right amount of shimmer and highlight to give that soft powdered, yet dewy glow. It's an absolute dream. This is the first powder highlighter I have ever purchased and I love it. I was sceptical at first considering I have medium to tan skin tone and I usually use golden liquid highlighters, however, this shade really made my cheekbones pop and added something special to my makeup look. The purple tint is not over the top - and comes up beautiful in photos. The perfect lux product. Oh this is just beautiful. A gorgeous light pink glow with a lilac reflect. Sheer, blendable and oh, sooooo pretty. And the packaging.....it's like holding a previous jewel in your hands. Get this before it sells out. 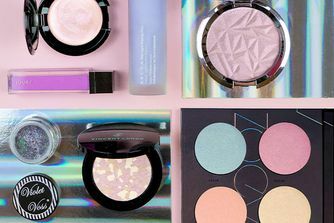 If you want to be a glowy unicorn this highlighter is for you! Although, it's not as buttery as my moonstone, this is still such a beautiful highlight, it's quite subtle but there's enough pigmentation for it to be noticed (does that make sense? Idk). Would honestly work for any skin tone! Amazing highlighter was a little sceptical about the purple tint against my skin tone but it looks lovely. Just the right shade! !